Join us at Scene75 to help us not only put a smile on as many faces as we can, but to also provide a sense of hope to those who need it most! At Scene75 we care about our community. Every year, children across the U.S. aren’t able to experience the full joy of Christmas due to their living circumstances, and we want to help as much as possible. One of the ways we do that is by holding our yearly Toy Drive with Toys For Tots. Come join us on Sunday, December 9th and help us to not only put a smile on as many faces as we can, but to also provide a sense of hope to those who need it most in our surrounding community. Our Toys for Tots boxes will be out in each facility just after Thanksgiving. However, to make things extra fun, on Sunday, December 9th, for each toy you win at our prize gallery, Scene75 will donate an equal value toy (up to 30,000 tickets) for Toys for Tots! So come out and play for a great cause! 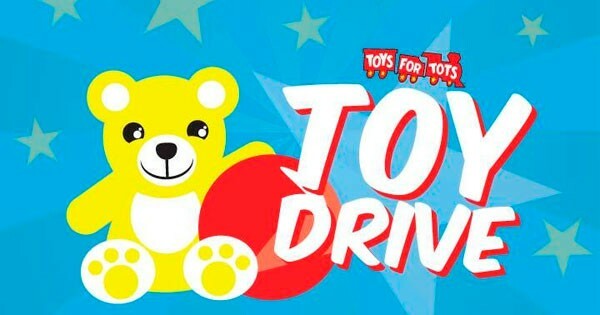 Find more events like "Toys for Tots Toy Drive"